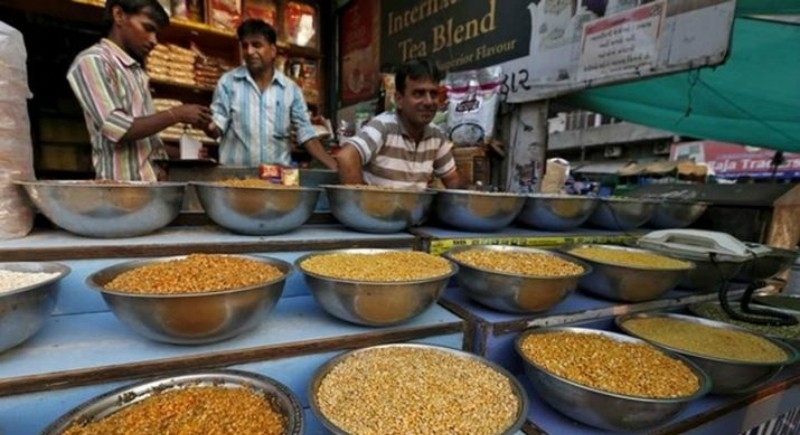 New Delhi, August 10: With the vow to boost income of the farmers, the Cabinet Committee on Economic Affairs (CCEA) on Thursday decided to provide a discount of Rs 15 per kg on pulses, over the wholesale market price, to States for distribution under welfare schemes like mid-meal, Public Distribution System, and Integrated Child Development Programmes (ICDP). The decision taken by the Cabinet will enable the States/UTs to use pulses in various Welfare Schemes like PDS, Mid-Day Meal Scheme etc. besides making available the warehouses, which may be required in coming Kharif season for storage of commodities procured under Price Support Scheme. The States and Union Territories will be offered to lift 34.88 lakh tonnes of Tur, Chana, Masoor, Moong and Urad at the discount of Rs 15/kg over the prevailing wholesale market price on a first-come-first-serve basis. This will be a one-time dispensation for a period of 12 months or complete disposal of 34.88 lakh tonnes of pulses stock, whichever is earlier. “The Government will spend Rs 5,237 crore for implementing this scheme,” said Minister of Electronics and IT, and Law & Justice, Ravi Shankar Prasad, after the Cabinet meeting. The country has witnessed the all-time high production of pulses during the last 2 years. The government of India under Price Support Scheme has made record procurement of pulses during Kharif 2017 and Rabi 2018 marketing season. A record procurement of 45.43 lakh MT of pulses has been done under Price Support Scheme. In the coming Kharif season the production of pulses is expected to be good. This coupled with increase in Minimum Support Price will require additional procurement under Price Support Scheme. The CCEA also approved the continuation of Pradhan Mantri Gram Sadak Yojana (PMGSY) beyond the 12th Five-Year Plan period. It will help in connecting 38,412 habitations at a cost of Rs 84,934 crore (Central share is Rs 54,900 crore and State share is Rs 30,034 crore). The fund sharing pattern will be the same.